TOWCESTER TAXI AIRPORT TRANSFERS 01908 263263 RELIABLE ROAD TAXI TRANSPORT: LTDA’s McNamara: "The real cost of Uber"
LTDA’s McNamara: "The real cost of Uber"
Last week we launched a campaign to expose the “real cost of Uber. The public needs to know that whilst Uber is cheap (if only by completely undercutting all competition) there is a real cost to taking an Uber. The initial launch features a website www.realcostofuber.com which will be updated over the coming weeks as we approach the licensing hearing in late June. I will also be emailing all our members with details on how they can further support our initiatives. With all the furore over the Cambridge Analytica use of private data we feel the public needs to know how Uber handles its data. Do people know what data Uber is stealing from their phones? Its terms and conditions are shocking and revealing. The company not only has access to a passenger’s location, but also can take information from their calendar and see the last webpage they browsed. Do people really think that Uber has cleaned up its act and changed its immoral business practices? We all know Uber refuses to give its drivers the most basic rights, but it is also avoiding paying up to £20 million in tax by billing drivers offshore. This is disgraceful and denies our already over-stretched public services vital funding. Are people aware that their safety is at risk not only when they get in an Uber, but also just by being on the same street as an Uber? We all know that its drivers are undertrained, potentially not licensed in London, and potentially uninsured. This is the real cost of getting an Uber and we need to make sure everyone knows it. 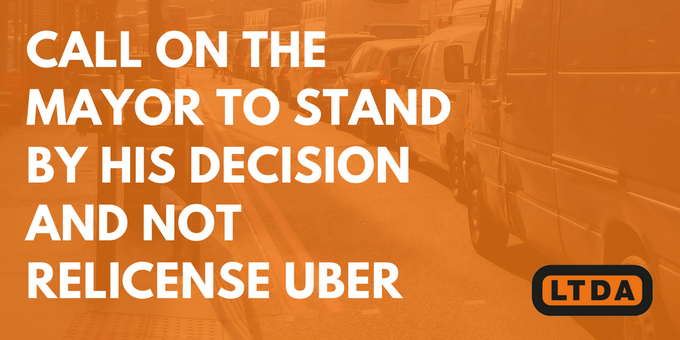 As Uber’s licensing case approaches we need as many people as we can to sign the the LTDA’s petition and email Mayor Sadiq Khan to demand that Uber does not get relicensed. Please read the petition, sign up and share it at www.realcostofuber.com. Meanwhile, Uber is continuing its “makes sense” PR charade. This time it is advertising its supposed “transparent pricing” by saying that passengers can see a fare estimate before they get a car. There are “no surprises” it claims. However, with Uber’s predatory pricing this estimate is often a surprise in itself. 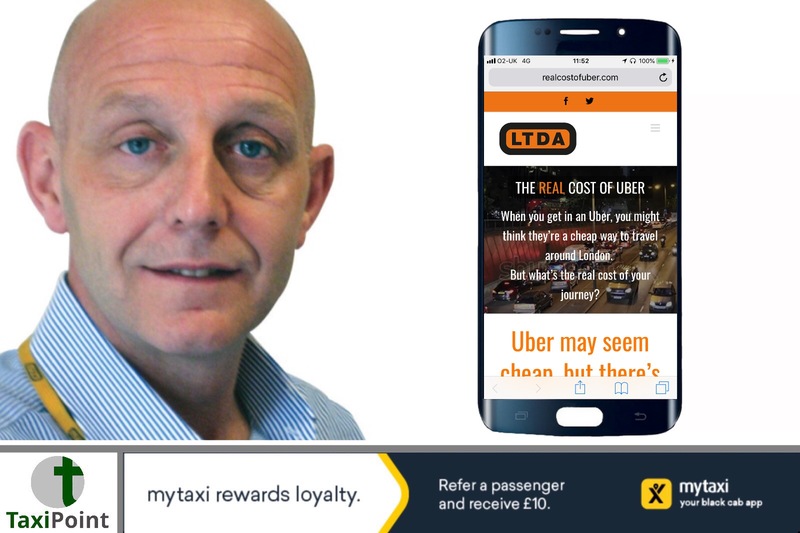 As Uber keeps pushing out ads on social media about how it is apparently the obvious choice, the LTDA will do the same and remind people what the real cost of taking an Uber is.